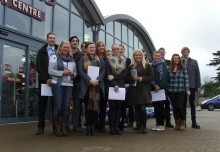 Garden Centre Update | Customer service a priority for leading growing media supplier. Customer service a priority for leading growing media supplier. 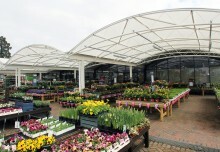 Garden Centre Update > Industry News > Customer service a priority for leading growing media supplier. It’s already shaping up to be a busy year for William Sinclair. In January the company acquired the Gem brand. February saw Sinclair bring in a new Managing Director for the retail division with expertise in sales and marketing, in the shape of Danny Adamson. Last month it merged its Silvaperl business with its professional horticulture department to form a new division for sales in the Grower, Turfcare and Amenity and Aggregate markets; Sinclair Professional. This attitude certainly shows in the Sinclair range. A great year last year was followed by even more product investment in the form of redesigned, consumer-friendly packaging. A Premium range has been introduced for gardeners who need peak performance, and is already a strong seller. And Sinclair won major awards in the Gardening Which? Compost trials.